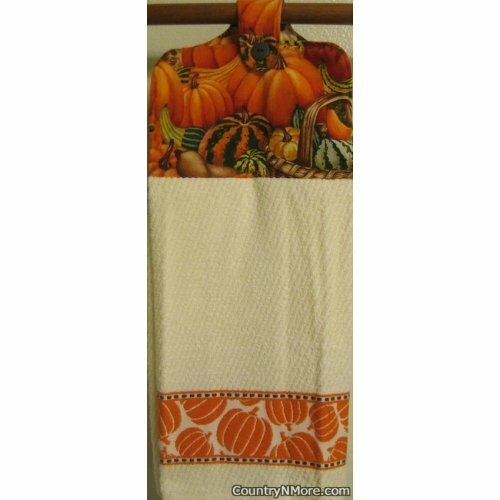 This fall theme oven door towel, is brimming with color, from the orange pumpkins to freshly picked squashes. The pumpkin border just pops, as the design is woven into the towel itself. We used a colorful fall harvest print for the fabric top as well as a high quality towel. All of our oven door towels have a button closure, so that you are surely to have your oven door towel handy when you need it.